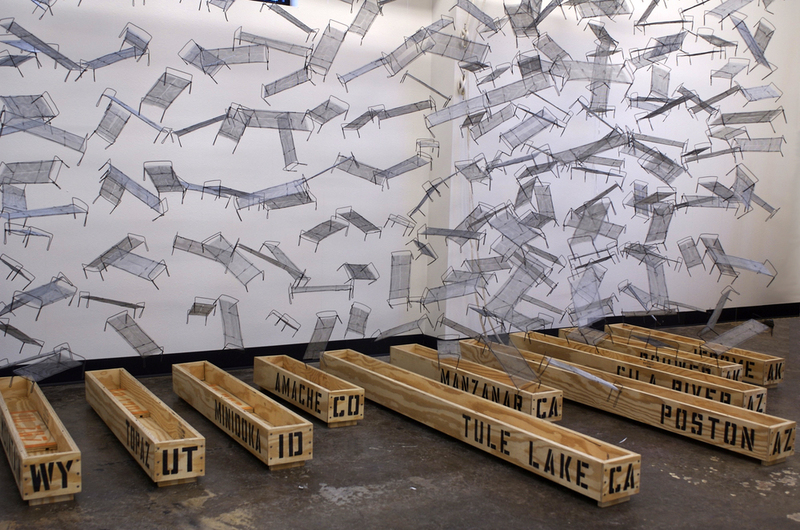 “’An Artist’s Sense of Purpose’: Art, Activism, and Community in Conway,” events will commemorate the 75th Anniversary of Executive Order 9066 and the internment of Japanese-Americans During World War II, Feb. 20-27, 2017, sponsored by UCA College of Fine Arts and Communication, the Hendrix College Asian Studies Program and the Japan Outreach Initiative. 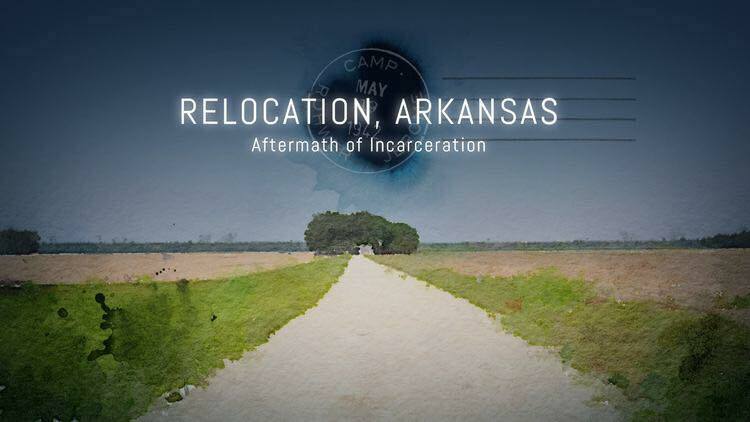 About “Relocation, Arkansas: Aftermath of Incarceration” (2015, written and directed by Vivienne Schiffer) “Relocation, Arkansas: Aftermath of Incarceration” explores the effect of the Japanese American incarceration experience in Arkansas during WWII on the generation that was born after the camps closed, the unlikely tale of those Japanese Americans who remained behind, and the even more unlikely tale of how a small town Arkansas mayor of Italian descent became a legend in the Japanese American community. But with its themes of the complexity and hypocrisy of race relations in America, journeys toward forgiveness and healing, and cross-community understanding, the film transcends regional and cultural constraints unlike any other film on the incarceration experience (courtesy of IMBd). About Nancy Chikaraishi: Nancy Chikaraishi’s parents were prisoners in the Rohwer, AR, Japanese American internment camp during World War II. Listening to her parents tell their stories of how this major event impacted their lives, prompted her to create artwork (paintings, drawings, prints, and sculpture) that illuminates the costs of racial discrimination. The artist wrote: “Xenophobia remains a relevant issue of the 21st century. By acknowledging the racial injustices inflicted upon Japanese Americans during WWII, I hope to bring awareness to the consequences of fear based on otherness and prejudice.” Chikaraishi currently lives in Springfield, MO, where she is the assistant professor of architecture at Drury University. About Executive Order 9066: On February 19, 1942, in response to the bombing of Pearl Harbor, President Franklin D. Roosevelt signed Executive Order 9066, giving the Secretary of War the power to designate military areas from which “any or all persons may be excluded,” and authorized military commanders to initiate orders to forcibly remove 120,000 Japanese Americans and persons of Japanese ancestry from the West Coast to ten internment camps in seven western states, including two in the Arkansas Delta (Rohwer and Jerome). Approximately 17,000 “evacuees” were brought by train to Arkansas where they were imprisoned behind barbed wire for three years. The University of Central Arkansas and Hendrix College have unique connections to the history of Japanese Internment during World War II. UCA graduate Mabel Rose Jamison was a Caucasian art teacher at Rohwer who saved her students’ artworks, later displaying them to publicize the injustice of internment. They are now held at the Smithsonian, the Japanese American National Museum, and the Butler Center in Little Rock. After visiting the Arkansas camps in 1943, Hendrix College art faculty members Floy Hanson and Louis and Elsie Freund staged an exhibition of artwork by renowned artist and Jerome internee Henry Sugimoto at Hendrix in 1944. After meeting Sugimoto at Hendrix, English professor Paul Faris visited Rohwer in 1945, where he photographed life in the Arkansas camps while his wife Ann conducted oral history interviews with internees. These experiences, Henry Sugimoto later recalled, inspired “an artist’s sense of purpose” to document and remember the experience of internment.